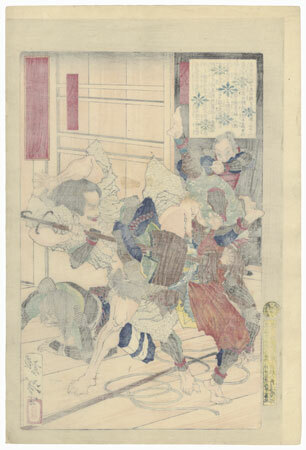 Minamoto no Yoshitomo Battling Osada Kagemune in Owari Province, 1879 - Dramatic scene of Minamoto no Yoshitomo battling Osada Kagemune in Owari Province. According to legend, Yoshitomo was ambushed and killed while visiting the baths at a hot spring. 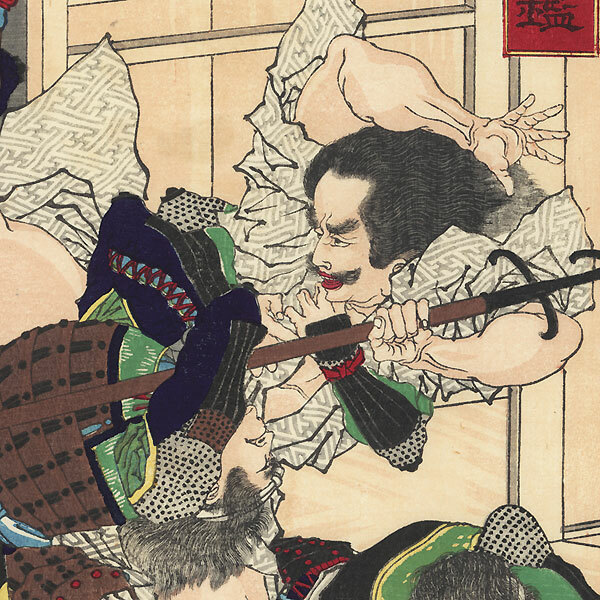 Here the unarmed warrior attempts to fight off his attackers, sending an opponent tumbling backwards head over heels while simultaneously trying to wrench a pole arm from another enemy. A third samurai sprawls on the ground, but eventually, Yoshitomo was overpowered and killed. Nicely detailed with touches of burnishing on the armor. 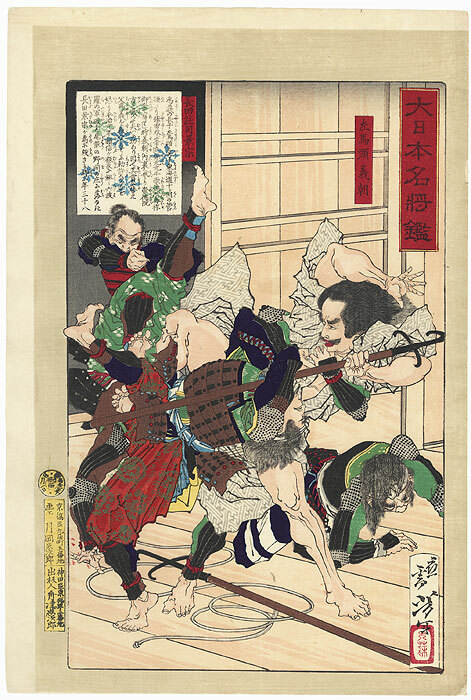 A great depiction of this valiant samurai's final battle, full of energy and action.